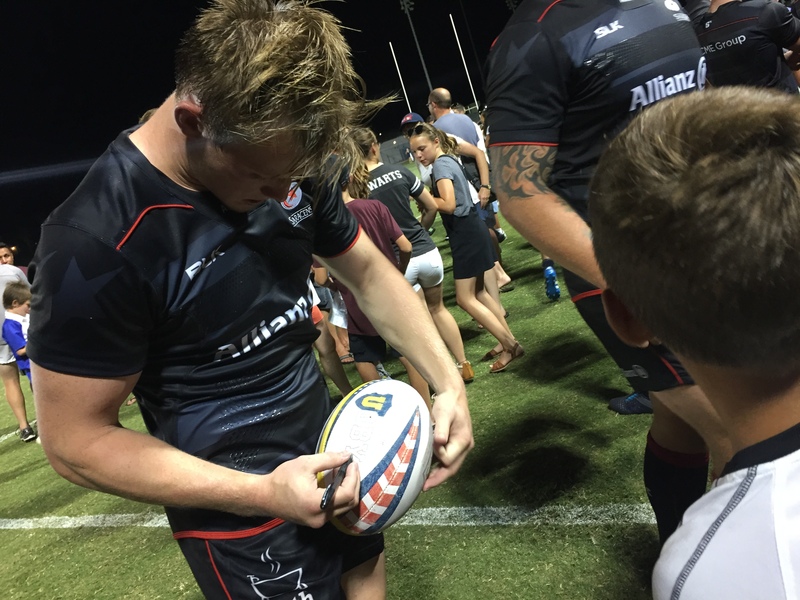 The Saracens were able to give the ball to everyone with having 8 different players score tries during the match. 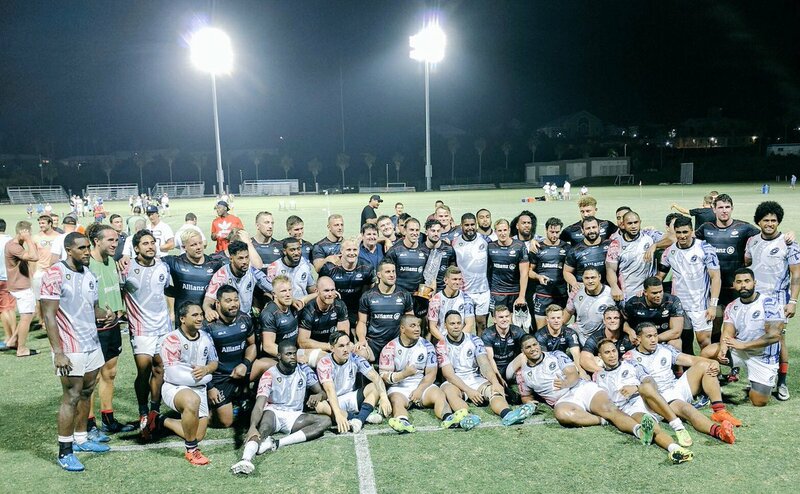 Out of the 8 players, three of them had themselves hat tricks. 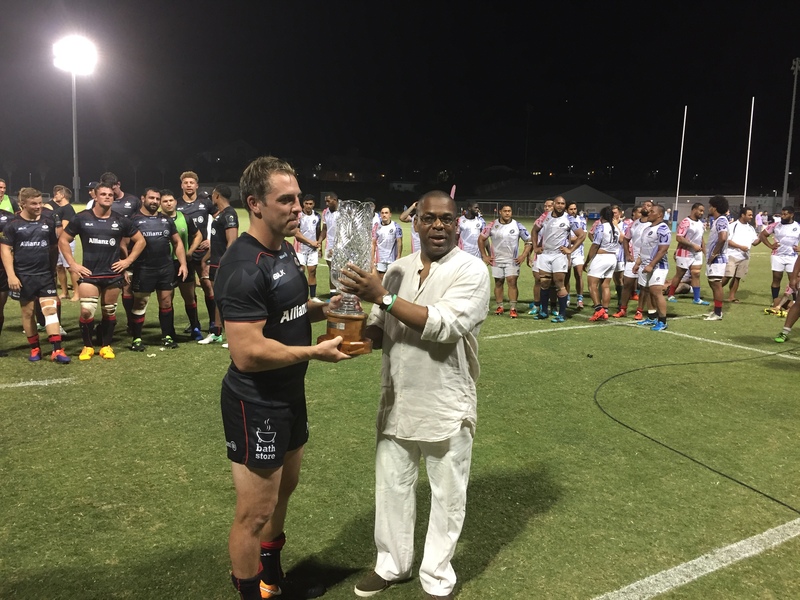 Captain Winger Chris Wyles scored his three tries in the 31st, 40th, and 49th minute of the match. 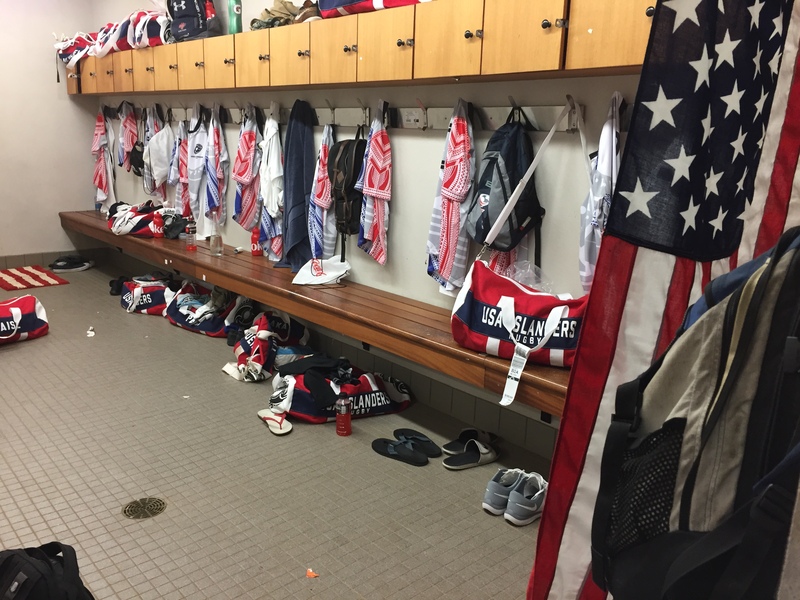 Wyles is a USA Native who also plays for the USA Eagles National Team. 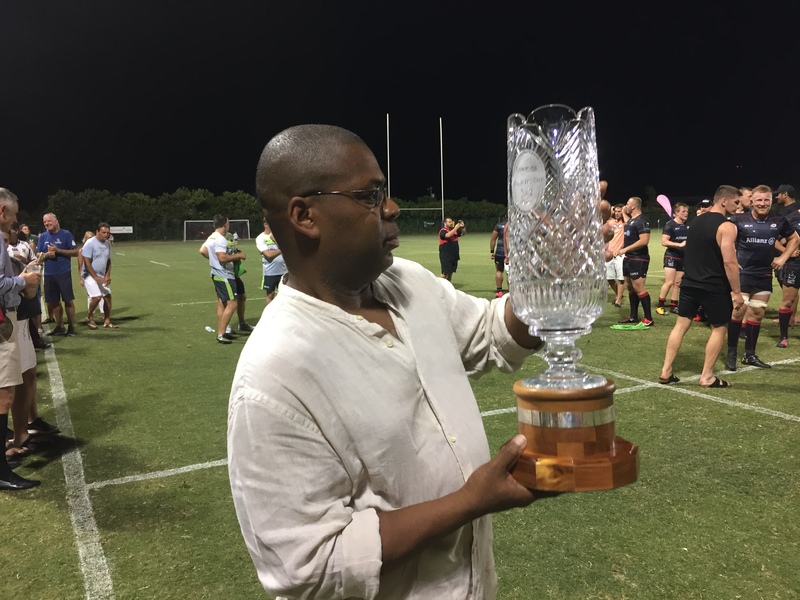 Along with Chris Wyles was reserve player Henry Taylor, who scored his three tries in the 42nd, 69th, and 74th minute of the match. 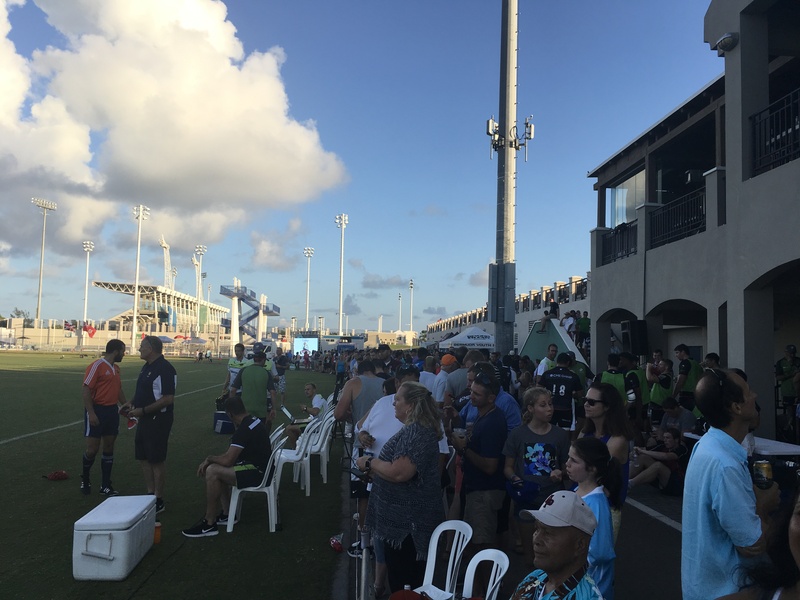 The last hat trick came from reserve player Nathan Earle, who scored his tried in the 55th, 58th, and 80th minute of the match. 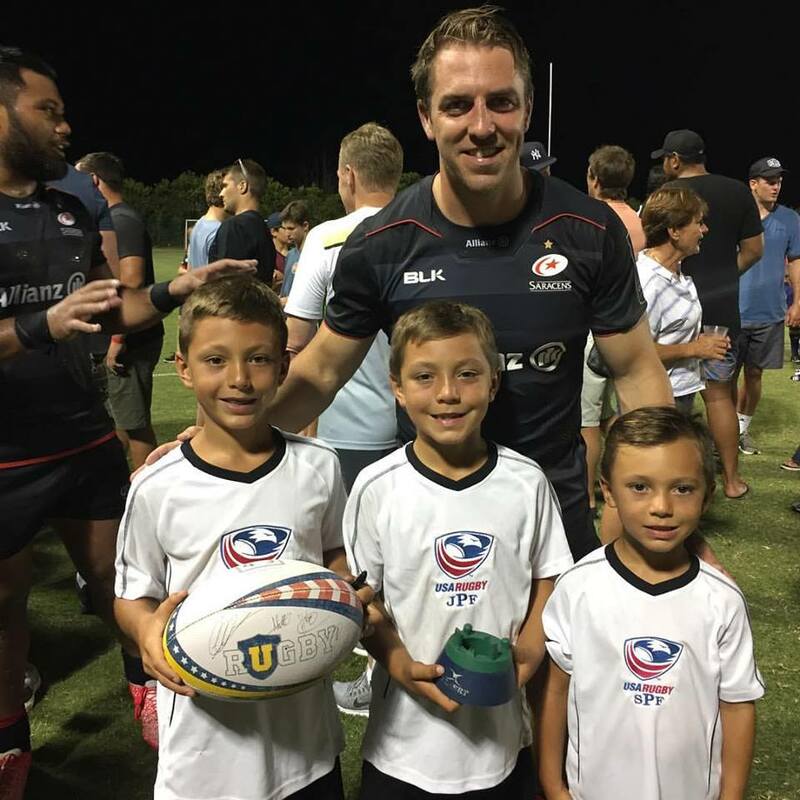 Besides the three hat tricks from these Saracens players, tries were also scored by Mike Ellery, Mike Malins, Tom Griffiths, Alex Lozowski, and Ben Earl. 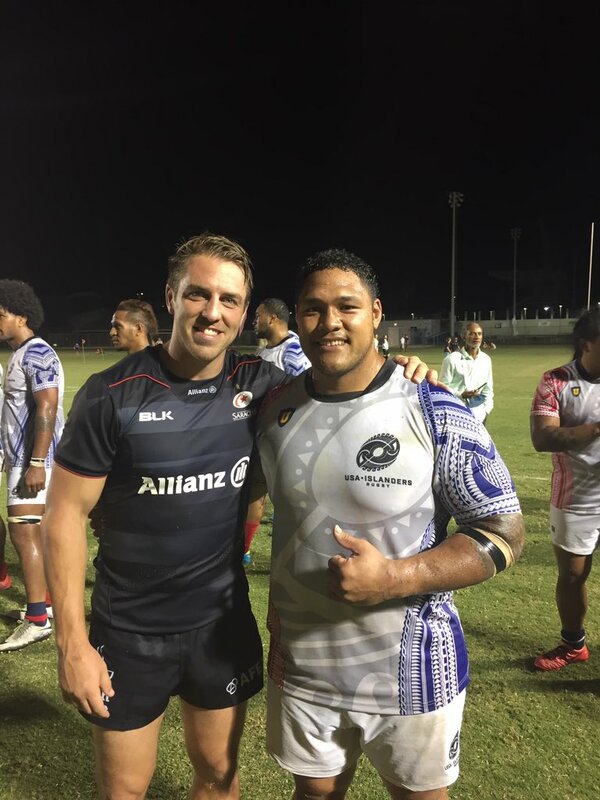 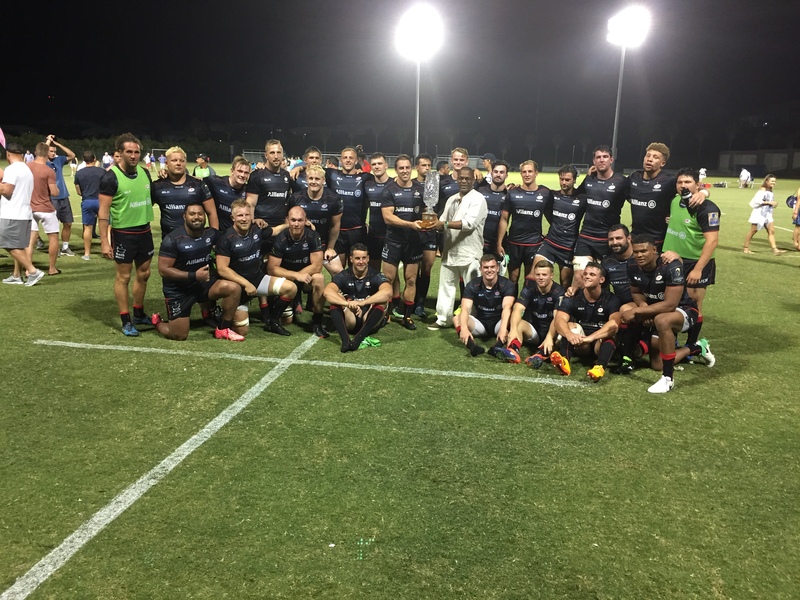 In total, the Saracens scored an impressive total of 14 tries against the USA Islanders. 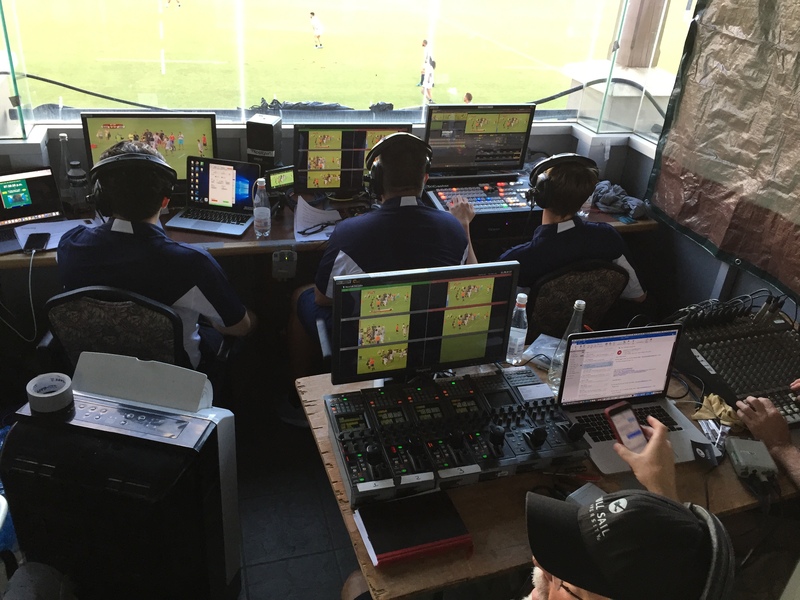 Ben Spencer converted 6 conversions while Mike Malins converted 4 conversions. 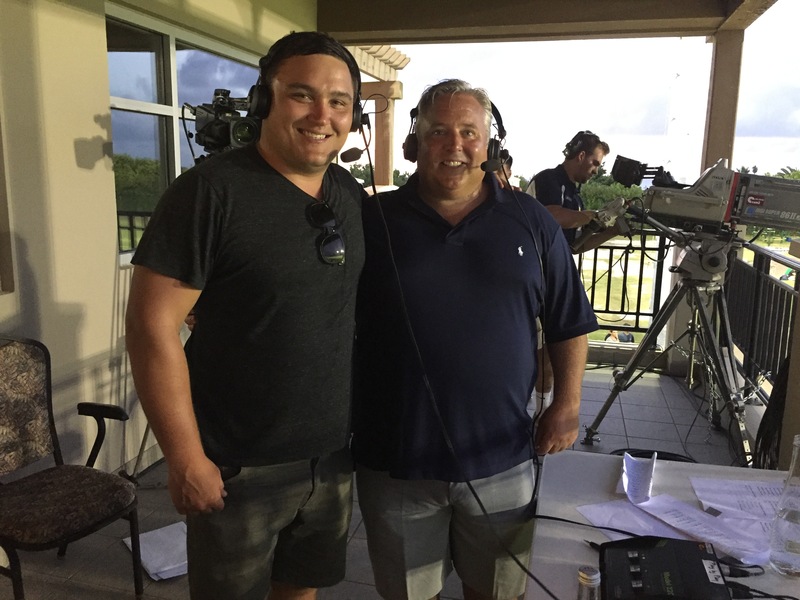 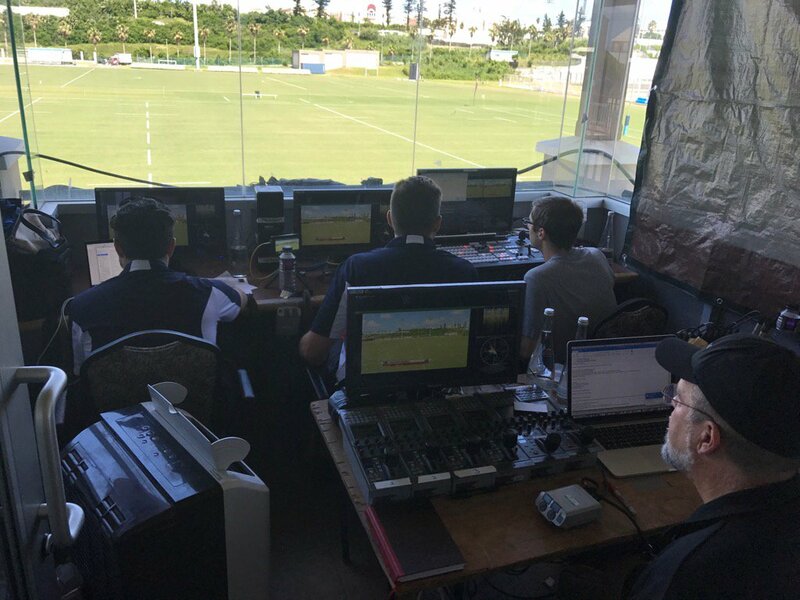 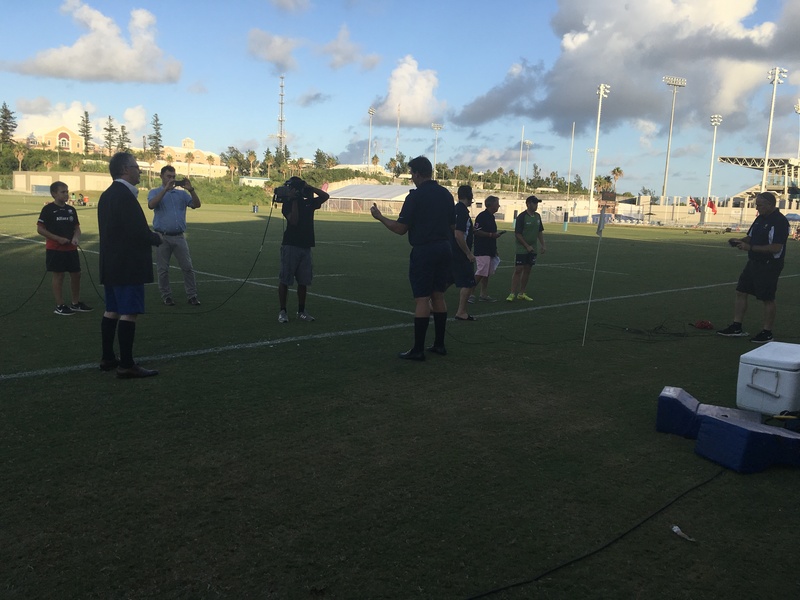 Although the Saracens did not have all of their starters on the pitch, the Saracens still had many of their popular players on hand in Bermuda such as Maro Itoje on the sideline and Jamie George hanging out in the press box. 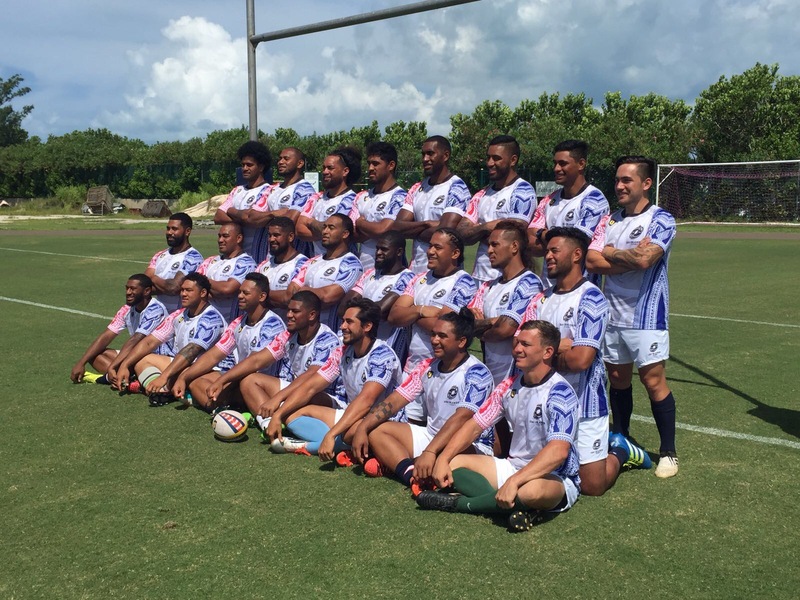 The Islanders squad knew exactly what they were getting into and were ready to face the all mighty Saracens. 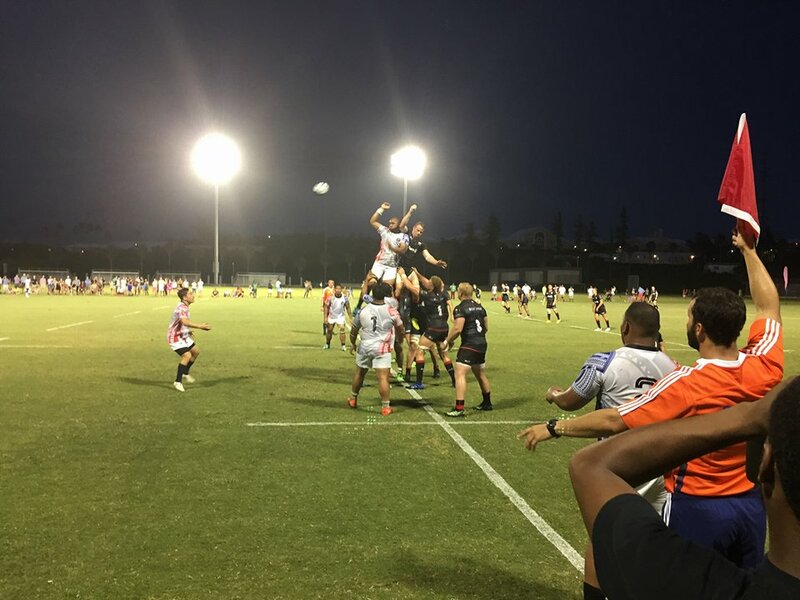 Although they did not reach the try zone, they had some excellent opportunities to gain real estate and advance the ball down the pitch. 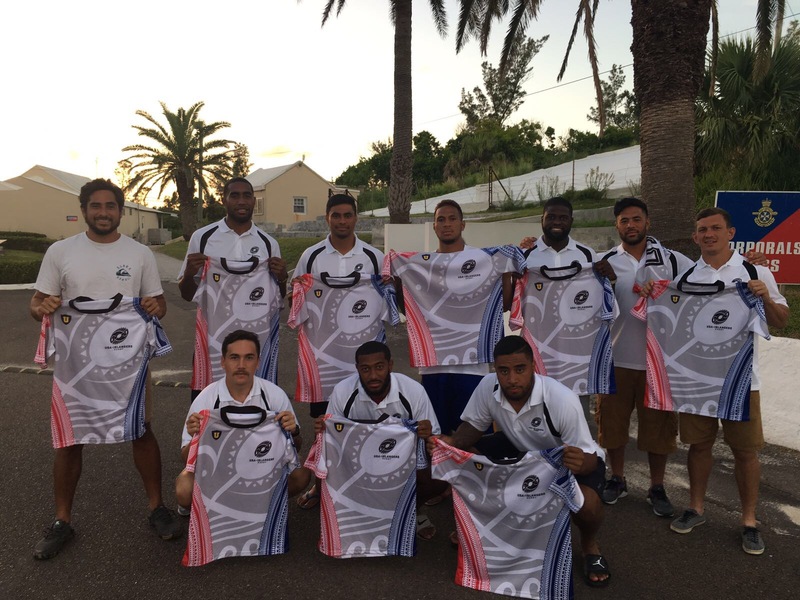 In their first match as a team, the Islanders had a lot of positives to take away from the match. 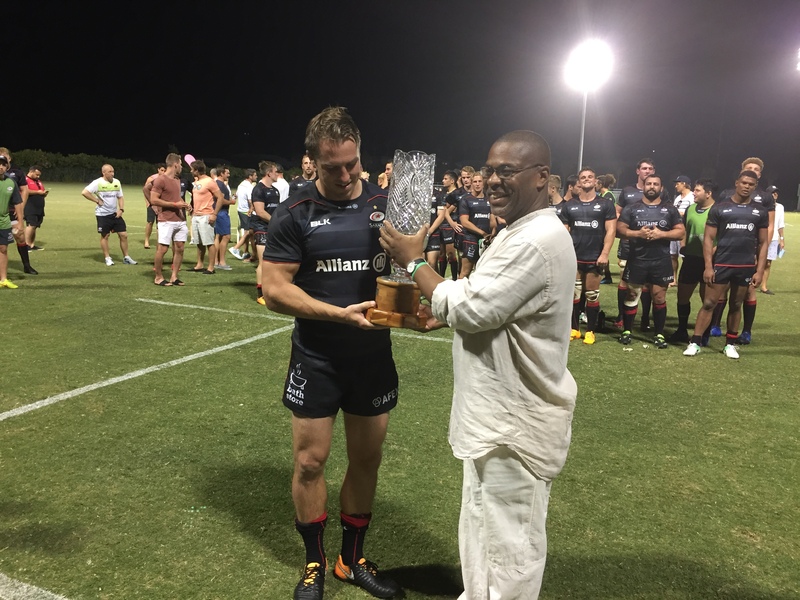 They matched the Saracens in the scrum, lead by Captain Olive Kilifi. 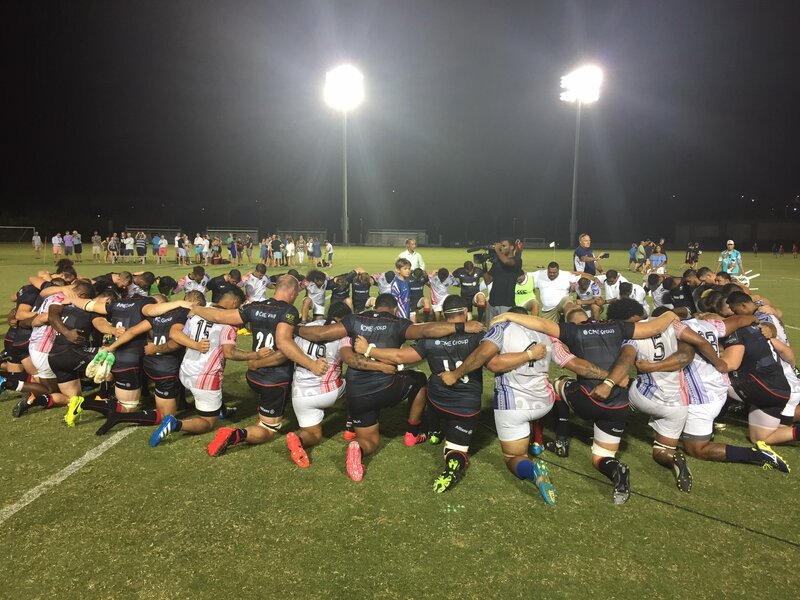 The prop was able to control the scrums and did not allow it to move an inch when their team put the ball in. 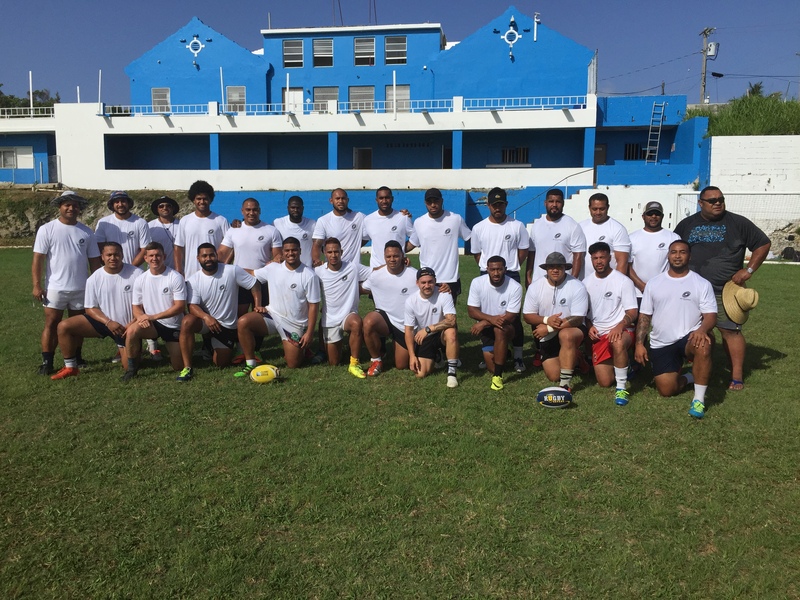 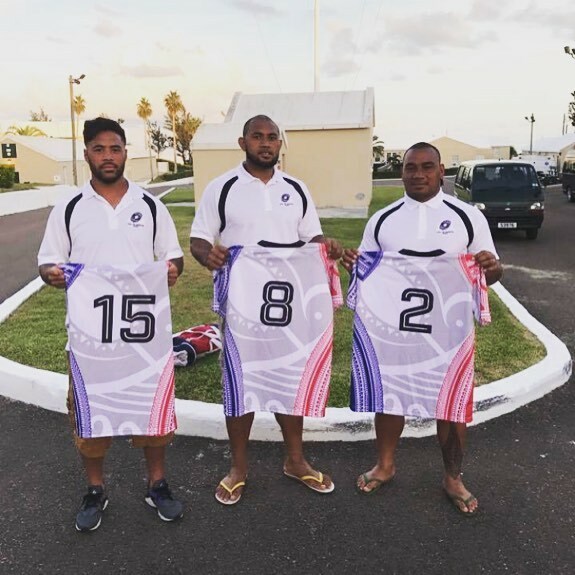 Kilifi also earned his cap from the USA Eagles National team as well as fellow USA Islanders' players Matai Leuta and Jojo Tikoisuva. 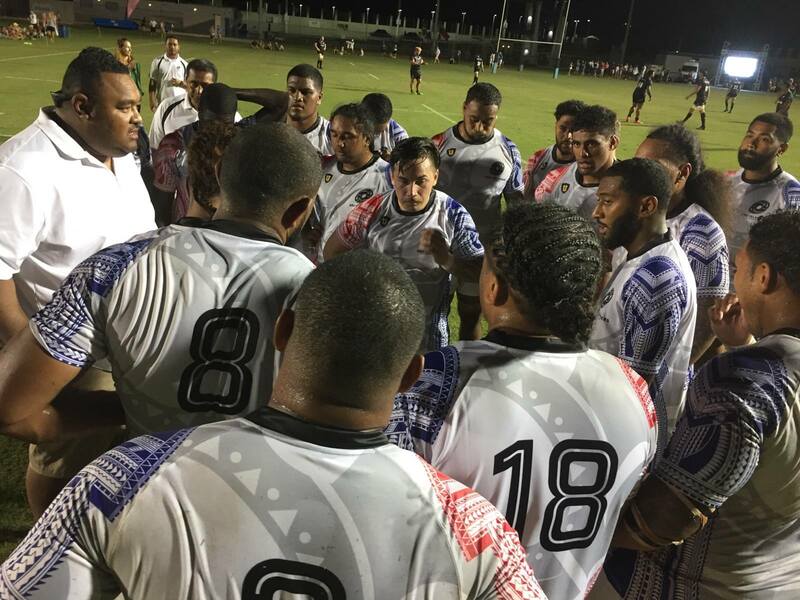 Another capped member of the USA Islanders in head coach Vahafolau Esikia, who is very optimistic about the future of the USA Islanders. 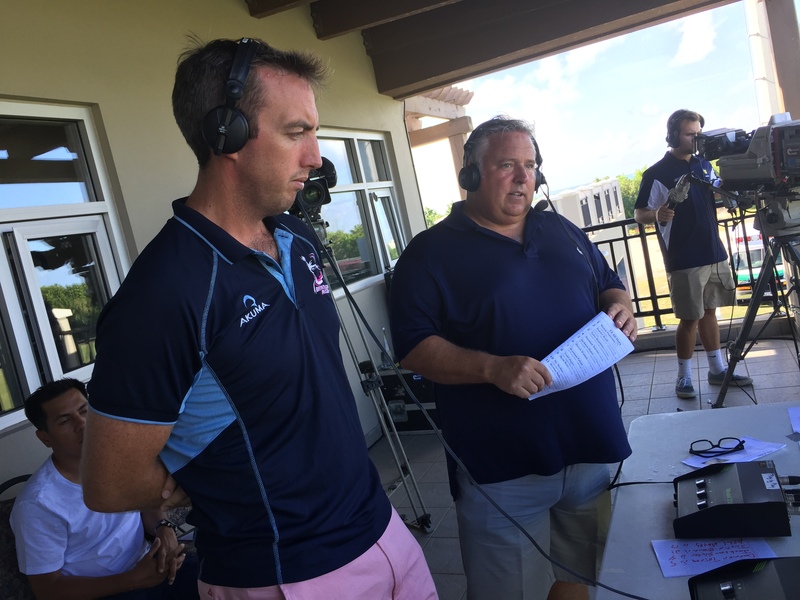 In a recent interview with John Broker, Vaha discusses what the future beholds for the team, including camps and clinics for younger players which will help the Islanders identify young talent. 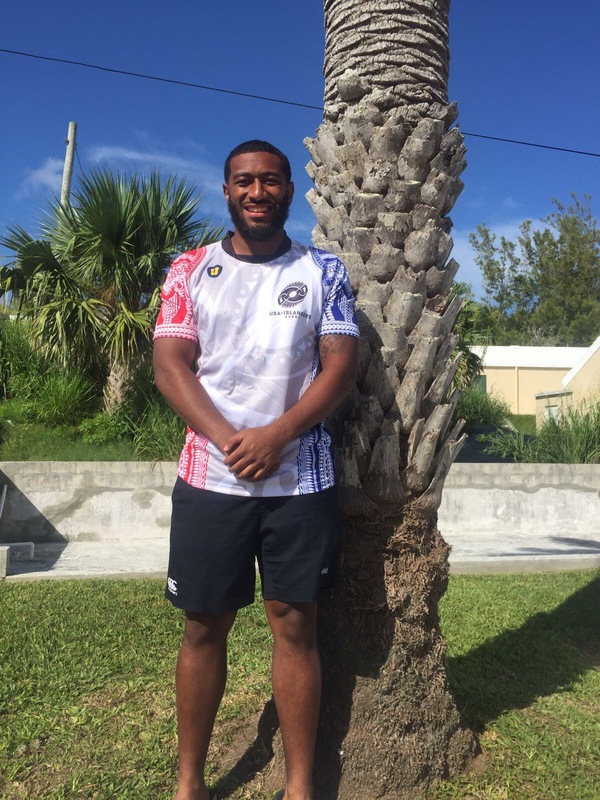 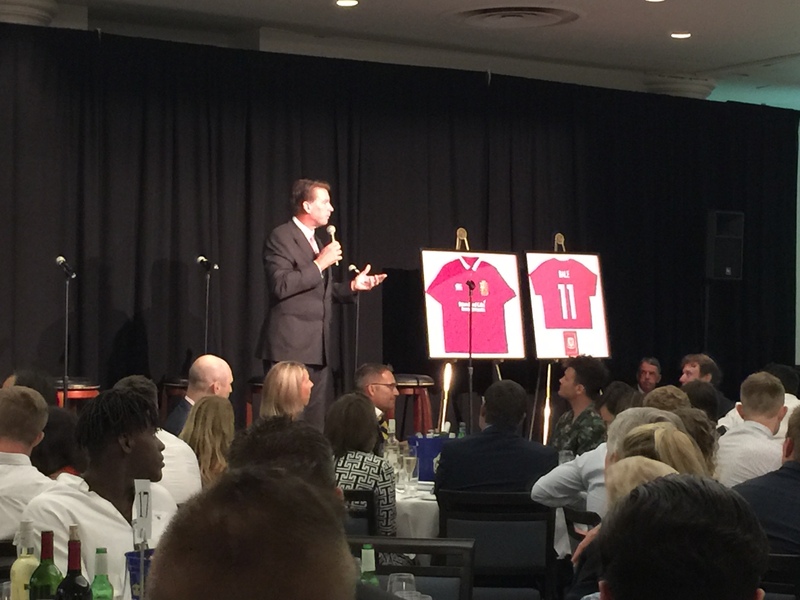 Vaha also mentions his hopes of starting a 7s team for the USA Islanders. 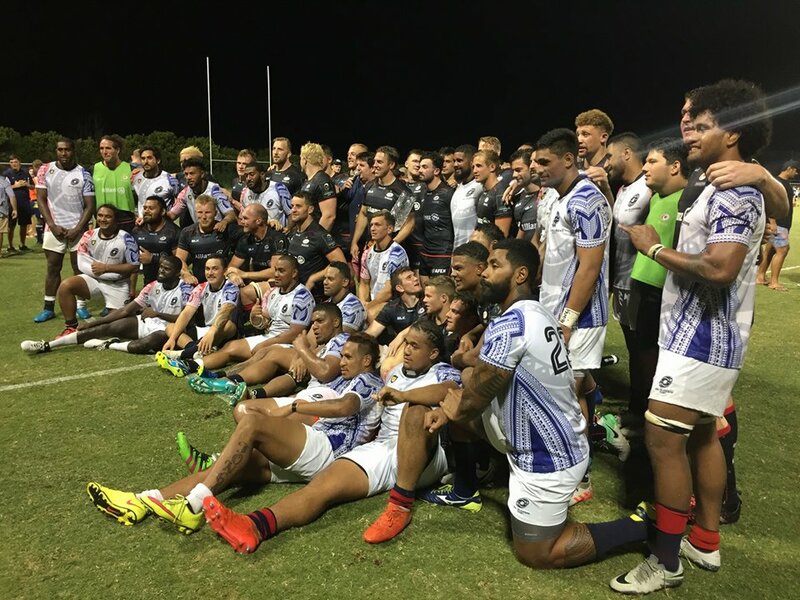 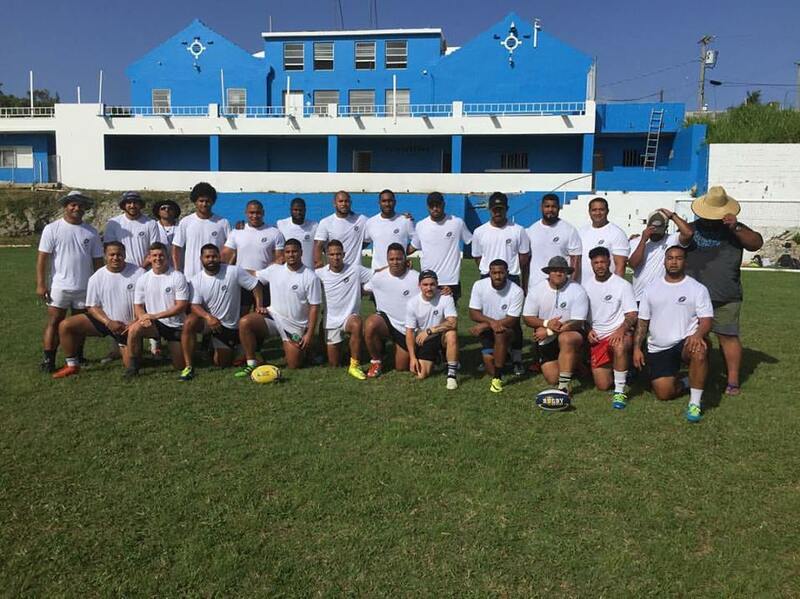 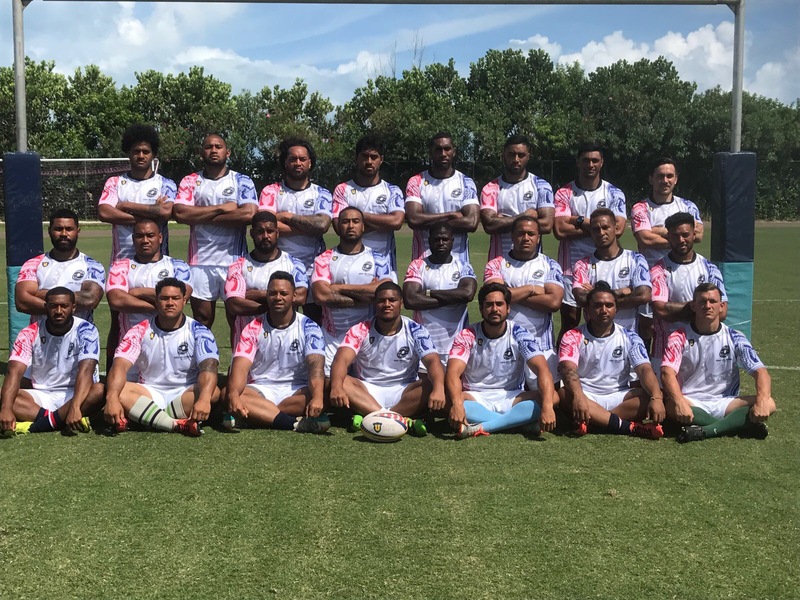 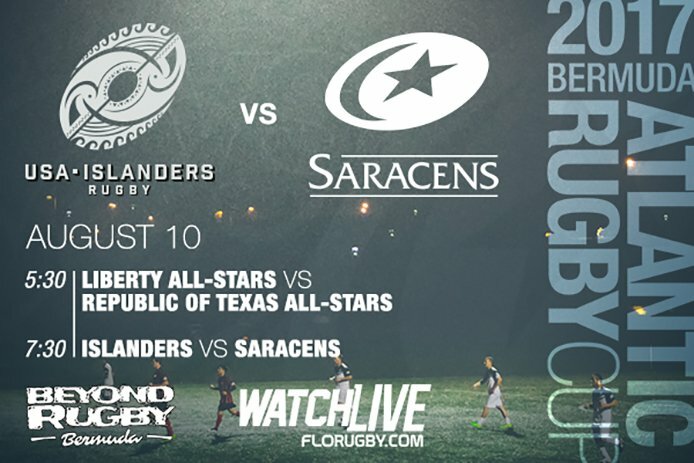 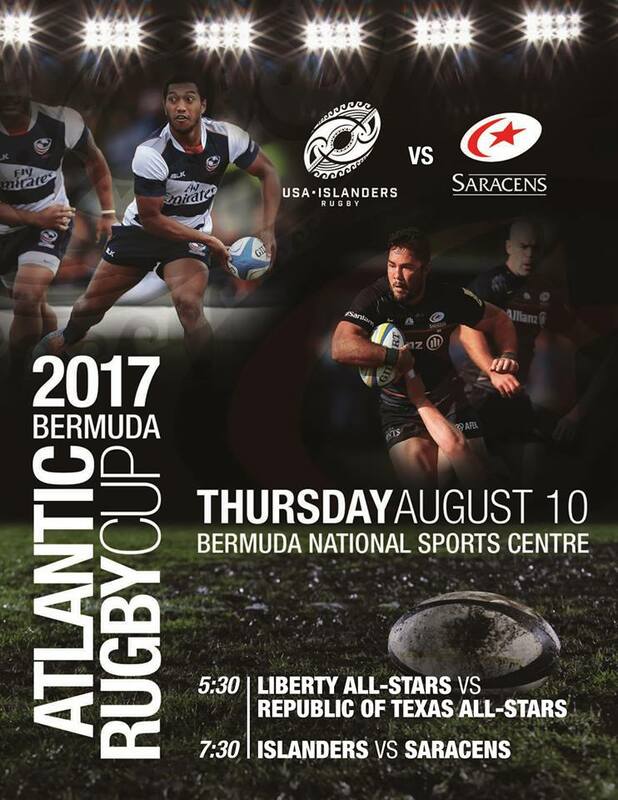 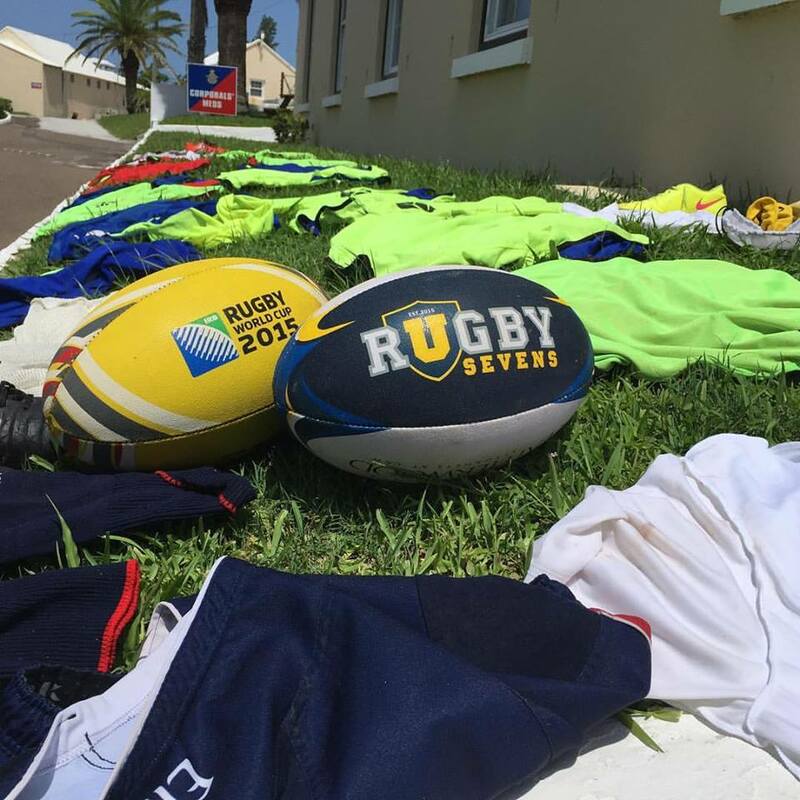 Both the 2017 Collegiate All Star Rugby Cup and the #ISLvsSAR match benefited a local organization known as Beyond Rugby Bermuda.